Captain America is not widely regarded amongst the Phase One MCU films. Joe Johnston turned a superhero origin story into a World War II adventure film like Raiders of the Lost Ark or, more aptly, Johnston’s own The Rocketeer, which I do appreciate. Could it have been handled a little better? Sure. But I actually like it and thought it was a fun way to introduce Captain America, for whom I have a soft spot. My mom, however, was lukewarm. She thought it was “alright” and “fun” while mentioning that she didn’t typically like “war movies”, but it at least kept her attention. As I said earlier, Captain America is definitely more of an adventure film, but I don’t expect my mom to grasp the nuances of this difference, and neither should you. Full disclosure, she did fall asleep in the middle of it, but told me to pause it and give her 30 minutes. After that, she was all in for the rest of the ride. Take that as you will. My mom thought that the film’s story was “good”, but it didn’t grab her as much as Thor or Iron Man did. Unfortunately, this is where she and I differ. I think the story is one of the weakest parts of Captain America. Aside from Rogers’ ascent into Captainhood, the entire narrative is a slow build to ‘let’s stop HYDRA’. Even the Red Skull, a masterful nemesis in the comics, rarely comes in contact with Captain America. Instead, we’re treated to a montage of Cap’s victories while the Skull just shakes his fist like an angry old man. As for Captain America himself, my mom thought he was a “nice character” and praised Chris Evans, but said little else about him, unlike Thor or Iron Man. I was actually surprised she didn’t take to him more. Cap’s the overly kind boy scout with a heart of gold, but I suppose this keeps his character development in this film pretty stagnant and he doesn’t have a lesson to learn. And I guess my mom prefers reformed bad boys. While the Red Skull wasn’t a particularly engaging villain, Hugo Weaving does a great job with the sparse material that he was given. My mom maintained that he “acted very well”, although she did not realize that he was Agent Smith from The Matrix, a movie she really likes. She was pleasantly surprised when I told her. Overall, Captain America: The First Avenger is a fun, middle-of-the-road Marvel movie that doesn’t necessarily deserve all the hate it gets. And for someone who doesn’t like “war movies”, my mom was entertained enough to wake up from a nap and continue watching. Only at the end did she realize the movie was called “Captain America: The First Avenger”, and asked “Oh, does he start the Avengers?” I told her to hold on. I told her to keep Bucky in mind. She asked if he was going to be a traitor. I said nothing, but was surprised by her astute prediction. But she thinks he’s dead now, so we’ll see if she remembers him when we get to The Winter Soldier. She recognized Tommy Lee Jones, but kept just calling him “General Patton”. To be fair, I don’t remember what his character’s name was, either. When Cap wakes up from his sleep, Mom laughed at him for missing his date with Agent Carter by 70 years. That’s cold, mom. During the credits she went on a rant about how “the Marvel people are good”, that “they know how to make movies”. She was upset to learn that these types of sci-fi-esque movies generally don’t win Oscars, and was adamant that there should be an Oscar Category for Sci-Fi movies, because there are “lots of people working on them” that deserve recognition, too. It was pretty cute. As you may know, there is no post credit sequence for this movie. In fact, what follows is a short trailer for Marvel’s 4-year long exercise in world building. Yes, that’s right. We’ve finally reached The Avengers, y’all! It was a quick series of short clips stitched together haphazardly, but, surprisingly, my mom expressed a lot of excitement that she was “finally going to get to see The Avengers“. And you’ll just have to wait until next week to see how that turns out. I love your blog. This is an awesome idea! Thanks for reading! Happy to hear you like it! Thanks! I’m looking forward to watching Winter Soldier with her. Mostly because it’s just a damn good movie. 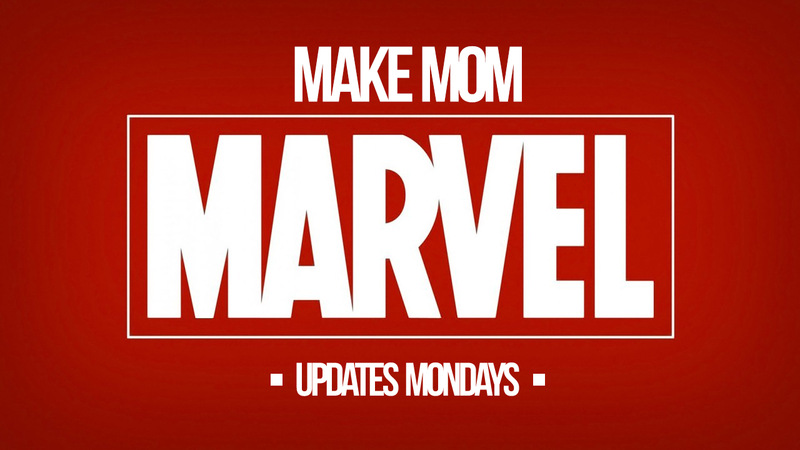 Avengers should be up next Monday, so stay tuned for that. Unfortunately, I don’t think I’ll be able to convince her to spend money on a movie ticket for Ragnarok. I’ll have to figure out how to get that review written! But rest assured, I’ll be seeing that day one. Mom as comic Muse is delightful and a way to educate a whole generation of disinterested in sci-fi moms.